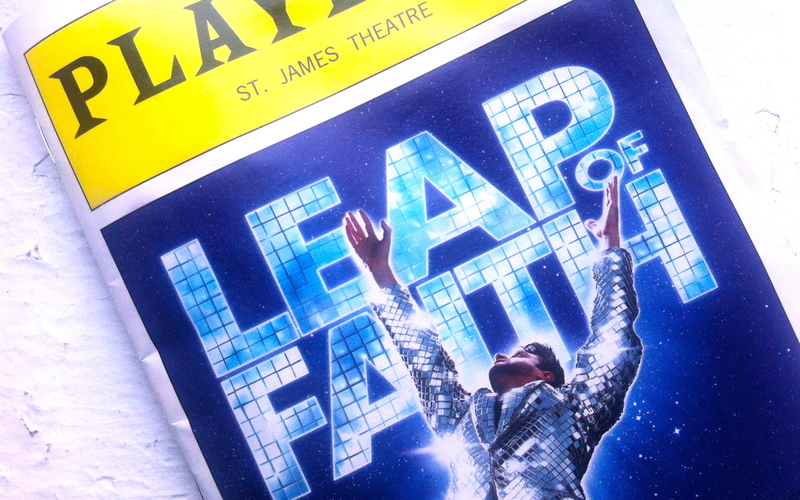 Despite an almost complete lack of imagination on behalf of director Christopher Ashley, Leap of Faith – the latest late-entry in a season rife with Broadway musicals created from the ashes of fair-to-middling films – mostly succeeds if you’re willing to – wait for it – take a leap of faith. As anyone who has seen the Steve Martin film of the same name knows, the story of fraudulent faith healer Jonas Nightengale ends with not just one miracle but two: the cripple boy walks and a crop-killing drought ends. Everybody wins. In spite of any previous misgivings – and there are many – only the most cynical of theatergoers could fail to find the redemption afforded by such a manipulative one-two punch to the gut. 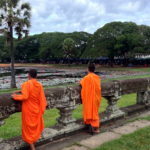 (Yes, I know, more often than not that cynical old git c’est moi) It is the journey – or lack thereof – that gets us to that point, however, that is at times tiresome and borderline unbelievable, testing the mettle of even a seasoned believer. Where to start? To quote John Guare’s great comic creation, Bunny Flingus: How do you pick out a branch out of a redwood forest? The first act of this show is a hot mess, from yet another of composer Alan Menken’s bombastic gospel choirs to the many, many subplots in librettist Waren Leight’s book to leading man Raul Esparza’s overblown hetero-swagger. It’s the theatrical equivalent of throwing a half-boiled pot of spaghetti against the wall and hoping enough of it sticks to craft a meal. Almost lost in the mix is Jessica Phillips as Marla, the small town sheriff and Jonas’ romantic foil. I say almost because Phillips’ winning presence often liberates her from the surrounding handcuffs. No one else in the large supporting cast is quite so lucky. Yet something seems to happen during the act break. Everyone begins trusting in the tale they are trying to tell: Menken allows his secondary characters to deepen the boy-meets-girl story, singing of doubt, hope and final chances; Esparaza stops trying so hard and eases into the role, allowing his naturally winsome charm to bubble up; and even Leight’s book, so full of plot and subplot, manages to successfully tie it up with a bow – delivering bonbons and bon mots along the way. Leap of Faith might never quite rise to join the Broadway canon but by the rousing, rain-soaked finale it’s more than atoned for any sins committed along the way.